Drenched in rich , spicy goodness, Sahale has a blend to suit every taste - making nuts a special occasion. Sahale Snacks are now available at Seattle’s Best Coffee. Last week, Valdosta and Sing Buri nut blends debuted at Seattle's Best Coffee counters in convenient 2-ounce pouches -- enough to share with a friend over coffee or to satisfy a morning and an afternoon snack craving. Sahale Snacks' rich and peppery Valdosta Pecans pair especially well with Seattle’s Best Coffee winter beverages, like Vanilla Cinnamon Latte. The spicy and exotic Sing Buri Cashews make a lively accompaniment to tea, espresso, and brewed coffee drinks. Lemongrass, Soy glazed Cashews, Pineapple, Peanuts, and Sesame seeds lightly dusted with mild Chinese chili -reminiscent of a great Thai dish. Mmmm - I wish I had some right now! One lucky winner will receive two full size bags of Sahale Snacks in Valdosta & Sing Buri ! 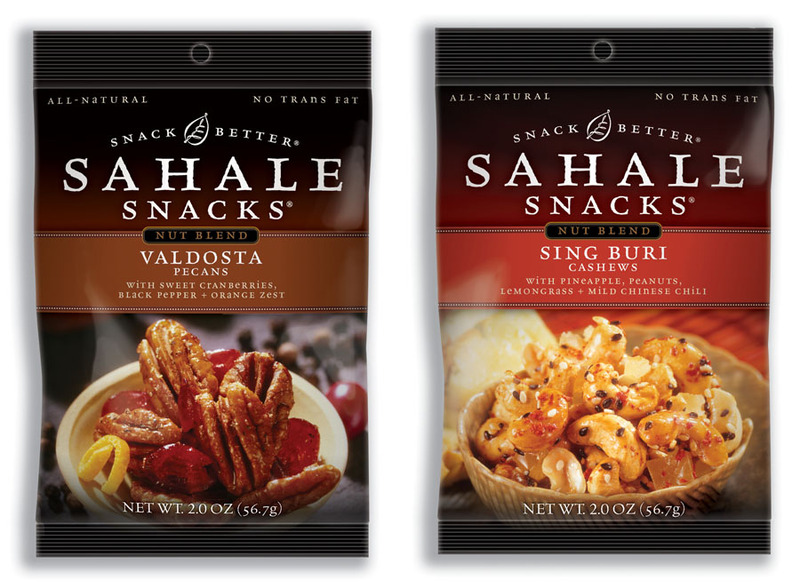 *Follow me @jamaise at Twitter & Tweet this : RT @jamaise #GIVEAWAY #WIN -Two big bags of Sahale Snacks - Valdosta & Sing Buri blends - big fat yum! http://bit.ly/aP0Nyx Ends 10/11 tweet each day for one entry each ! I'd like the almond vanilla latte biscotti crisps. I'd like to try the Socorro A mix of Macadamia Nuts with Hazelnuts, Mango, Papaya + Southwestern Chipotle. i would love to try the almond vanilla latte biscotti crisps. I would like to try the Cranberry Pecan flavor! I love cranberry! I would like to try the Pecans with Sweet Cranberries!